Working for a Major League baseball team, I know just how important therapists are when recovering from an injury. When a fall left me with a broken ankle, I could have taken advantage of the team's therapists or a prestigious NY facility, but I wanted to be closer to home. I knew that The Gallen Institute at Daughters of Miriam Center in Clifton had a great reputation for subacute care and, after my stay; I saw just how well-earned that reputation was. The excellent nursing care and daily therapy sessions provided me with everything that I needed to insure that I would not only get back on my feet quickly, but that I had the strength to stay on them. The staff at the Center is as caring as they are skilled; I wholeheartedly recommend them to anyone needing rehabilitation. The Gallen Institute for Subacute Care is a multi-level nursing and subacute care wing designed for the patient who requires rehabilitative or medically-complex services. The state-of-the-art program is a cost-effective alternative to an extended hospital stay or when the patient is not yet ready to return home. 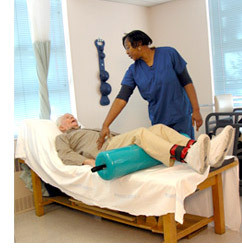 Subacute care is comprehensive, inpatient care designed for someone who has had an acute illness or injury. It is a goal-oriented treatment rendered immediately after, or instead of, acute hospitalization to treat one or more specific active complex medical conditions or to administer one or more technically complex treatments. Subacute care at the Institute offers patients options that previously did not exist. 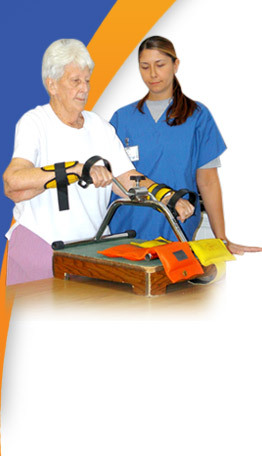 The Institute blends the technology of acute care and the therapeutics of a rehabilitation philosophy in a supportive, skilled setting. An individualized plan of care, developed by the interdisciplinary team, is designed to meet the diverse needs of the person who no longer requires the environment of an acute care setting but is not yet able to return home. 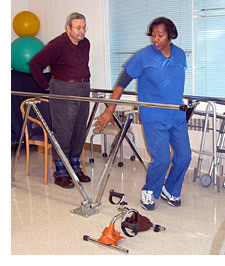 Care is oriented to medical and functional outcomes with a goal toward returning to the community. The Institute is available to patients upon physician, hospital or managed care referral. When a hospital setting is no longer necessary and returning home is not yet feasible, individuals should consider The Gallen Institute for Subacute Care. This comprehensive program is tailored to individual needs and may require short-term stays from 10 to 100 days. A strong clinical orientation guarantees an intensive level of care as well as therapeutic interventions.